Located on Cosmopolitan’s East Side wing, the Boulevard Pool is a perfect combination of modest party and sunbathing relaxation space. Sun lounges and luxury cabanas are lined up on two multi-level outdoor pools overlooking at the heart of the Las Vegas Strip. Perfectly positioned to enjoy panoramic views of the Vegas Strip, on the East Deck, the Boulevard Pool is an impeccable hangout for food, fun and frolic. The pristine, multi-level, outdoor leisure pool caters carefully to the environment and well-being. Get cosy and comfortable on the exclusive outdoor daybeds or the trendy lounge chairs, or twist to the peppy music on the embellished grounds in the company of family and friends. Douche or unwind by the bank of the Boulevard Pool with especial entertainment! 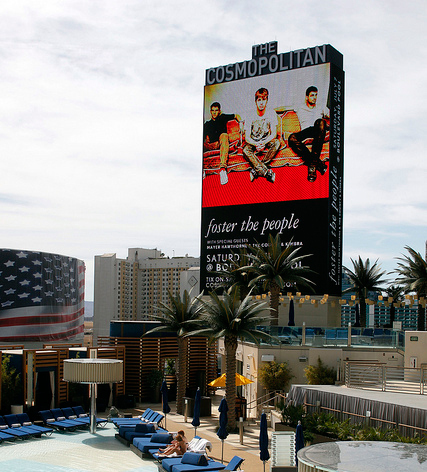 Catch a cinema on the Cosmopolitan’s 65-foot digital marquee or cheer to the cutting-edge musical concert on the pool stage. Likewise relish the delicious culinary course created by the skilled cuisiniers, taking the diners on a divine journey by the ‘sunset’ Boulevard. The Boulevard never sleeps, as this gorgeous pool is one of Las Vegas’s most popular venues for live music performances and famous DJ gigs. But the surprises never end, as The Boulevard Pool has its own Ice Rink concept, where during the winter months (November-January) the Cosmopolitan creates a great holiday spirit by transforming the pool areas into a glorious ice rinks open for both public and hotel guest visits. The Boulevard pool has an overall high guest rating of 4.5. out of 5 stars on popular online review platforms such as TripAdvisor and Yelp.com. 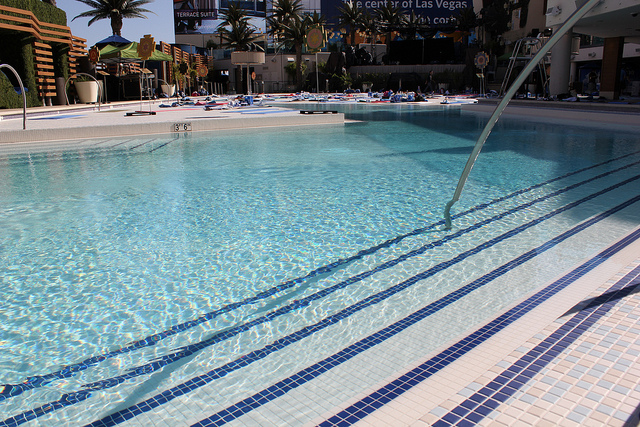 The vast majority of reviewers describe the vibe of the Boulevard pool as both fun and relaxing and guests often comment on the advantages of having the possibility of enjoying breathtaking panoramic views of the Las Vegas Strip. In regards to food and drink service visitors note that both services are a bit pricey but worth the extra dollar, due to the high quality of both food and beverage products and services. One of the most frequent disadvantages of this pool scene mentioned by reviewers is related to the fact that all sunbeds and lounge chairs fill up very quickly (especially on weekends), therefore it might be a smart move for guests to arrive at the pool as early as possible. Finally former pool guests rate the Boulevard pool, as less crazy than Marquee Day Club but more lively and larger than the Bamboo pool.